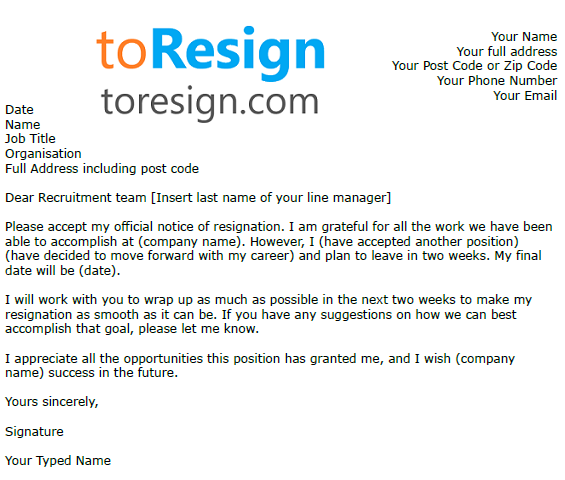 Use this resignation letter example if you are going to leave your job as a Bar Manager gracefully. One of the most difficult things one may need to do in their careers is to resign from a job. A big concern you’ll have should you decide to quit is how you’ll break the news to your boss. But if are resigning from a management position, you’ll need to face not only your boss, but your team as well. Don’t forget to amend this letter as suitable before sending it to the employer. Please accept my official notice of resignation. I am grateful for all the work we have been able to accomplish at (company name). However, I (have accepted another position) (have decided to move forward with my career) and plan to leave in two weeks. My final date will be (date). I will work with you to wrap up as much as possible in the next two weeks to make my resignation as smooth as it can be. If you have any suggestions on how we can best accomplish that goal, please let me know. I appreciate all the opportunities this position has granted me, and I wish (company name) success in the future.